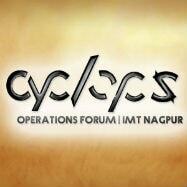 Cyclops, the operations forum of IMT, Nagpur was formed in 2009, since then, the members of the forum have worked enthusiastically to spread awareness and evoke passion in the field of operations through various activities. As a result, the students are showing deep interest in this field. 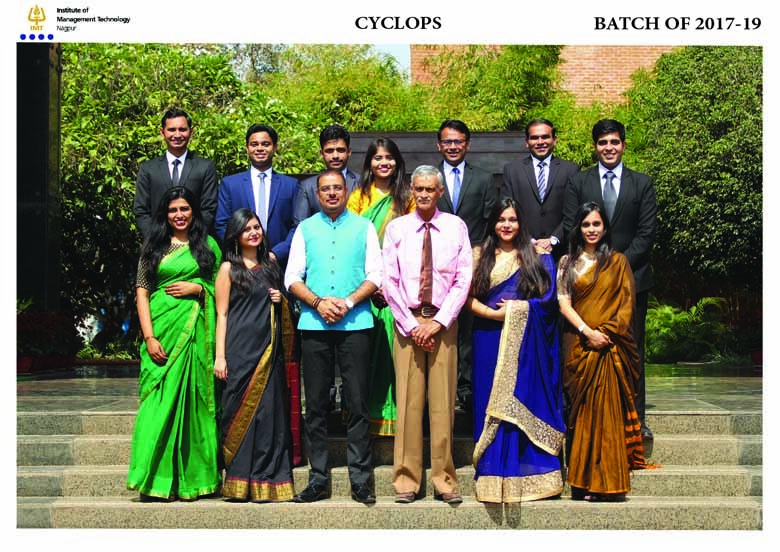 Through various games and a monthly newsletter "Satark", the forum throws light on various operational concepts, promoting experiential learning. Apart from this, the forum keeps people updated about the new operational aspects through their Facebook page. In addition to this, every year, the forum conducts a 3 day intra-college combat event "Battlefield operations" to discover the finest and fastest minds in operations. Since last academic year, we have added a new platform "CAT (Cyclops aptitude test)" to help our fellow mates crack placement aptitude tests. Also, the forum added to its legacy "Samsara- The National Operations Conclave" for the first time, with the theme 'Make in India', to make students aware about the potential our country to boost manufacturing in India. This we accomplished through guest lectures, panel discussion, case study competition, and various related activities. The forum plans to take ahead its legacy and belief in the coming years.